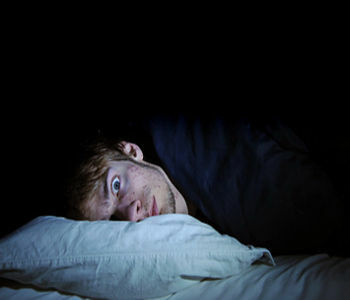 Sleep disruption is a common symptom among those with a mood disorder. There’s a chicken and egg thing going on here. Does a mood disorder disrupt sleep or does disrupted sleep cause (or worsen) a mood disorder? Most previous studies have looked at the connection subjectively. The study discovered that frequent disruptions of our body clock can make a person more prone to depression. Even without science’s explanation, it is easy to understand why you can easily fall into a deep depression because you always lose sleep. Can you imagine what it feels like after being forced to wake up when you feel you haven’t slept a wink at all? Or how about the fact that you stayed up all night tossing and turning, unable to drift off to sleep no matter how tired you feel. Even without other distractions, sleep apnea alone can put you into that category where you always lose sleep. The loud snoring is a major factor. The frequent breathing gaps or even unconscious gasping for breaths are also reasons why your sleep are disrupted. With depression in the equation, the problem just worsens and it is your health that ultimately suffers. The study found that excessive daytime sleepiness and severe obstructive sleep apnea were individually associated with the prevalence and onset of depression – with the combination of both associated with even greater risk. Obstructive sleep apnea is estimated to affect 1 in 2 men and 1 in 5 women, but up to 82% of cases are undiagnosed, according to the researchers. Men with an undiagnosed sleep disorder and excessive daytime sleepiness – which is a primary symptom of sleep apnea – were found to be four times more likely to have depression than peers who did not have a sleep disorder. Men with a diagnosed sleep condition, meanwhile, were found to be twice as likely as peers without a sleep disorder to have depression. CPAP is the best treatment for sleep apnea but people aren’t too thrilled in using it since it isn’t the most comfortable thing to use in your sleep. If you don’t do something about it, your depression may worsen. The combination of no sleep + depression can be deadly as sleeplessness is a health risk already and depression can drive people over the edge and even cut their own lives. Males are at highest risk given that they have a natural tendency to downplay their feelings and not seek help even when their condition is bad. It is a good thing if you don’t have depression yet. You can still prevent falling into this desperate situation by reducing your risk for it. Sleep better even if you have sleep apnea. Use sleep apnea mouthpieces that work similar to CPAP but are more inexpensive and easier to use like SnoreRx. There is no reason for you to get depressed if it can be avoided. If you already have depression, get checked for both depression and sleep apnea and make baby steps to wellness rather than continue living in a constant state of sleeplessness.